After the whirlwind that was the Summer Holiday Programme, you may be forgiven for thinking we can take some time to relax before Apple Day, Halloween and Christmas. Not a chance! September brings one of the true highlights of our farm calendar in the shape of Capel Manor City Harvest Festival. 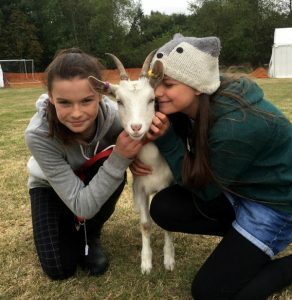 It’s a great day, with more than a little healthy competition involved, where lots of city farms and community gardens from the Greater London area get together at Capel Manor Horticultural College to show their animals, plants and crops. With rosettes and certificates given in both animal and horticultural categories, it’s a full on fun and competitive day for farm staff, volunteers, young farmers and public alike. This year, the 18th, we are very proud to have come home with a record number of prizes. We’ve been preparing our goat kids for showing since late April with our young farmers getting them used to walking on a lead rope and collar. Whilst the horses have been on holiday it has become quite normal to find our human kids parading them around the riding arena on a Sunday afternoon. It paid off with Freddie and kid Minnie taking third place in Young Handler of Large Animals (8-11 yrs) against seriously stiff competition, and Tiffany taking third with kid Molly for Animal With Most Character. Our small animals scooped a fabulously colourful bunch of rosettes from the get go, with Olivia starting the trend with fifth place in Best Chicken. Before we’d even caught our breath, Elliott was being handed first place for Best Duck with Summer hot on his heels with third place! Maizi would later be awarded a special rosette with the same duck whilst wearing a duck onesie in the Animal Most Like It’s Handler category. Our two adorable guinea pigs did us proud too. Our little tricolour Texel Cross Thumbelina took second in Best Guinea Pig and fifth with Eleanor in Young Handler of Small Animals (12-14yrs). Black and white American Cluedo wasn’t left out, taking a special rosette with Bella in Oldest Animal with his heart warming story of how he was found abandoned by the roadside by former volunteer Graham five years ago. Last but by no means least of our animal winners was Orr and his glossy working Retriever Jacob who took fourth in Most Obedient Animal. 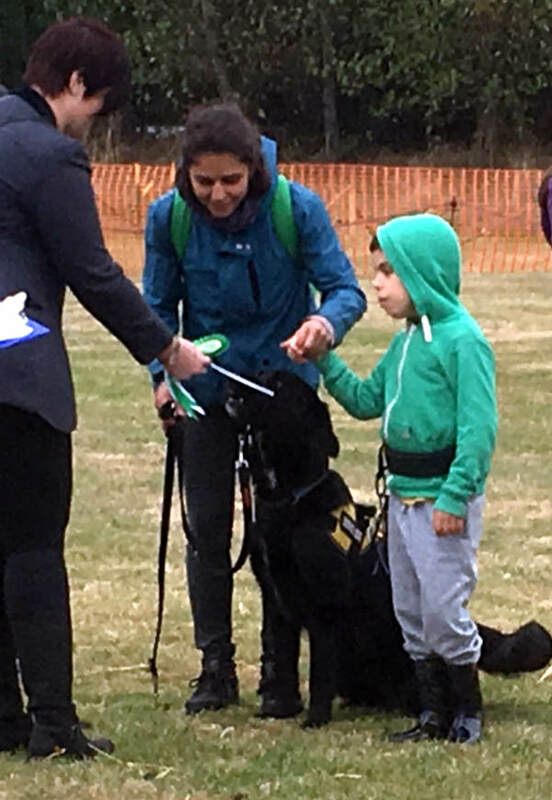 Jacob understands commands in both English and Hebrew and scooped first prize last year. The judges clearly felt some other people needed a chance this year! Almost all of the 20 young farmers we took with us this year got to compete in the arenas, and every single one of them did us so proud, rosette or not. 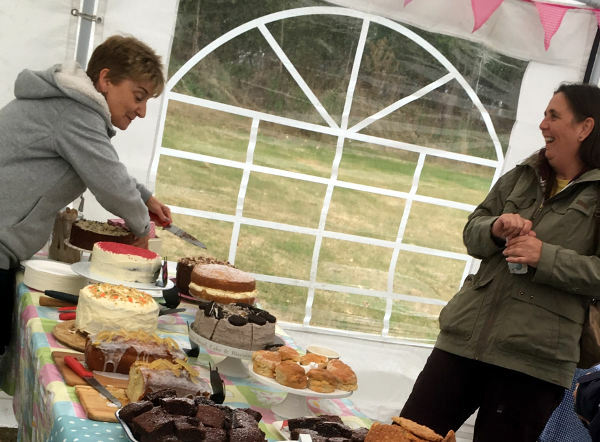 Over in the horticultural marquee, it was the chance for Lucy and her helpers in the community garden as well as our allotment pensioners and other volunteers to shine. All year the gardeners have been cultivating vegetables and flowers to enter in the competition. The muck heap pumpkin patch has been particularly spectacular this year, despite the plague-like onslaught of gastropods, producing an enormous orange cucurbit worthy of a place in fairytale. Although on the day it was beaten into second place by Wellgate Farm’s monster gourd, we were truly gobsmacked to be awarded a beautiful metal trophy for it, crafted that afternoon by the Blacksmiths for Best Overall Display. The dinner plate sized dead head of an eight foot tall sunflower helped secure a second place in Best Sunflower along with the beautiful pom-pom heads of ‘Teddy Bear’ grown by pensioner Maureen and delicate pale yellow blooms grown by Alison. 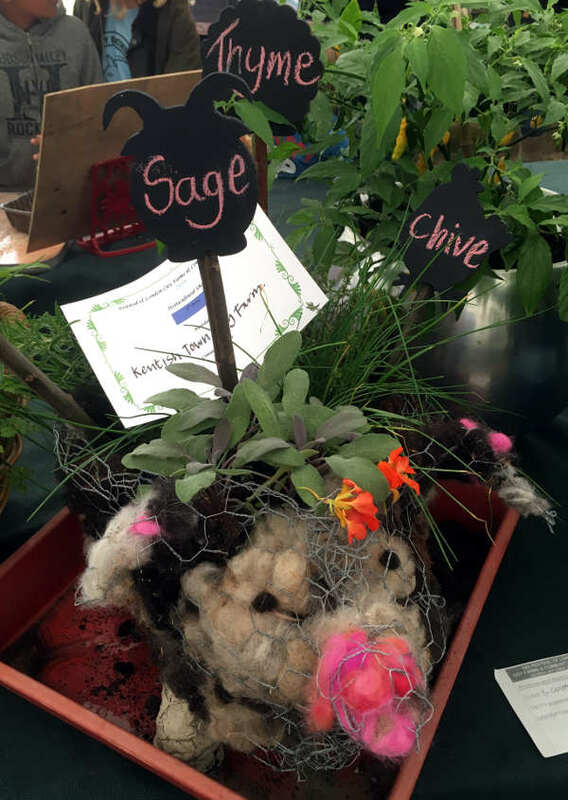 Trish took third in Container Of Herbs for her stunning wire hand sculpted piggy planter full of fragrant delights, whilst our resident beekeeper Tom was thrilled with news that his jar of sumptuous honey stole second place in Best Honey. 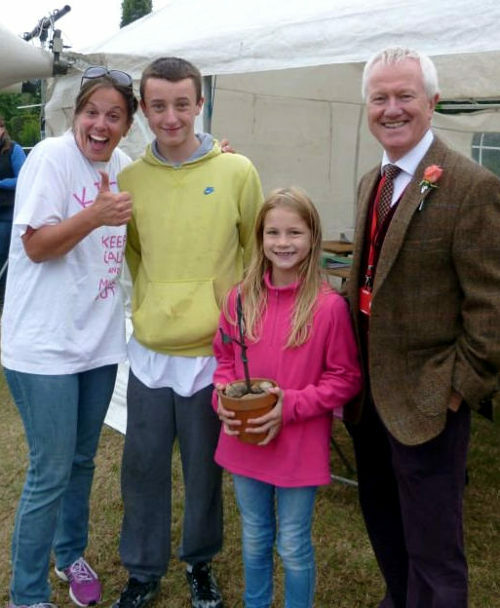 Volunteer Mel got help from our summer programme kids as well as our resident young farmers to build this year’s Best Presented Pen, Cluckingham Palace which took third place, and the Austin Mini ‘Mini Garden’ which also took third place. As usual there was also lots going on in the Have A Go tent with Simone and her gang of marvellous volunteers supervising art and craft activities such as felting and badge making. Pauline had a constant queue of budding potters wanting to throw down a clay sculpture on the wheel, whilst those who wanted something a bit more fiery had the chance to hammer hot metal with the afore-mentioned Blacksmiths next door. When the creative flow had dried up, there was always Megan and Anne’s cake stall and all it’s yummy treats to give a sugary boost to proceedings, with our lovely ladies raising a mouth-watering amount of money for the cause. KTCF young tug team give it a go! The last event of the day is always The Tug of War, with both the under 16 and adult teams vying for the pride and prize of another hand crafted trophy. Diane starts planning our teams well in advance (October 2015), and is a force to be reckoned with, with a record 3 consecutive wins under her belt. Our young team were all newcomers this year and unfortunately were outgunned by some fearsome teens from other farms. 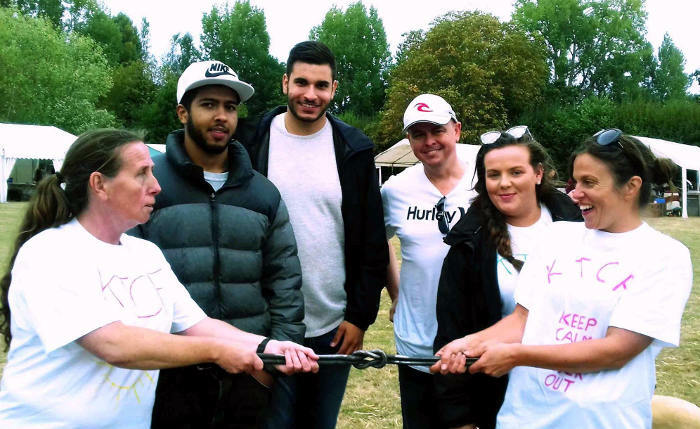 Another story for the adults however, who romped home with straight knockout pulls in the heats to retain the trophy in a final pull lasting mere seconds. All in all the excitement of the prize-winning and the intermittent shouts of ‘oh, the sheep/chicken/cow is loose’ made for an absolutely wonderful day for all involved. Our pride for our young farmers, staff and volunteers is huge on any ordinary day, but after this Capel weekend, it’s stratospheric. Hopefully, you’ll join us there next year.